For those of us raised during the 1980s, the phrase “Just say no” is eternally etched into our minds. 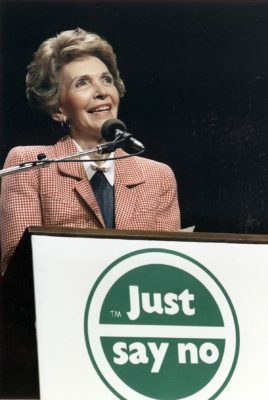 First Lady Nancy Reagan coined the saying as a way to keep impressionable kids far, far away from the temptation of illegal drugs. The slogan is often mocked, but it was well-intended. After all, saying “no” can be a good thing. It can keep you from falling prey to sketchy business propositions, and it can prevent you from overtaxing yourself physically, mentally, and financially. The thing is, saying “no” can also set you back in many ways, especially when it comes to your career. 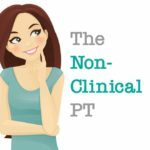 Just say yes for a unique physical therapy career path. If you want to grow your physical therapy career (or your OT or SLP one, for that matter), saying “yes” is always helpful. But if you’re looking to do something non-traditional or outside-the-box as a physical therapist, you’ll pretty much have to say “yes” to get where you want to be. In fact, you might be saying “yes” to some opportunities that push you far outside of your comfort zone. You might say “yes” to writing a guest post for a website when you’ve never written anything but term papers. It’s possible you will agree to take on a teaching position before you feel quite ready. Maybe you’ll step up to give a speech at your alma mater. Perhaps you’ll agree to volunteer at a community event. While all of these things can sound scary and overwhelming, they’re excellent opportunities to differentiate yourself professionally, which is exactly what you need to do when you’re forging a unique physical therapy career path. I have been lucky enough to chat with some fascinating physical therapy professionals who’ve taken non-traditional directions in their careers. I started to notice a strong theme. They all said “yes” to a project, an opportunity, or an idea, which then set them on a course of success from that point forward. Just say yes to teaching opportunities. Pursuing a career in physical therapy education is something many of us talk about. Yet very few PTs and PTAs actually say “yes” to opportunities that can make that dream become a reality, despite having many options to choose from. Alyssa Arms, PT, DPT, OCS knew she wanted to teach one day, so when an instructor announced the opportunity for upperclassmen to help out in teaching labs, she jumped at the chance. “It was a great way to start learning about how to teach and explain things,” shared Arms. Once she graduated, Arms was offered an opportunity to teach lecture content and increase her responsibilities in a few more classes while she was waiting to take the NPTE and find a job. She initially took a flexible inpatient acute care job, which enabled her to set aside some hours to continue teaching classes. Arms now spends 40-60 hours per month June-December, and 20-30 hours per month Jan-May, which fits well with her other dream: owning her own clinic. She has since started her own cash-based practice, Back in Step Physical Therapy, and her experience with teaching has made her that much better at patient education. She enjoys having a dual role as a clinic owner and PT school instructor. By demonstrating my skill and dedication, and having the right conversations with the right people, I’ve been able to grow and develop my role at the PT program. Just say yes to advocacy. Advocacy can feel intimidating, but it’s never too late to get involved in helping advance the physical therapy profession. For Stephanie Weyrauch, PT, DPT, saying “yes” stems from her passion for learning. She is committed to advancing physical therapy through professional involvement, research, and advocacy, and has been saying “yes” since she was a PT student. When the Minnesota PT Association State Governmental Affairs Committee asked for a volunteer to lead a group writing a policy allowing Minnesotan physical therapists to prescribe disability parking permits, Weyrauch wasn’t sure whether to apply. She had always been interested in politics, but had absolutely no experience writing policy. However, she saw this opportunity as a way to learn more about an interesting cause, so she volunteered and recruited a team of PTs from various clinical settings to help assist her in researching and writing the policy. Along the way, Weyrauch received wonderful mentorship from MNPTA’s lobbyist and State Governmental Affairs Committee Chairwoman, which helped her become an expert on this topic. Within a year, advocating for this policy became one of the hot topics that MNPTA members promoted at PT Day on the Hill. 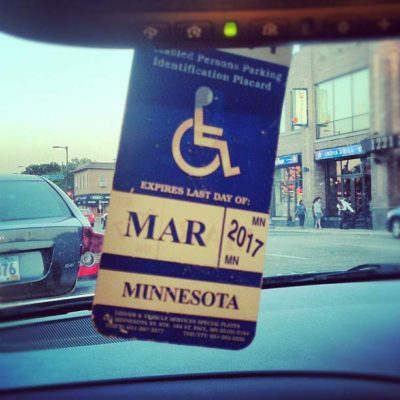 Recently, she testified in front of the Minnesota Legislature about adding PTs onto the MN Disability Parking Statute. The bill did not pass this session, but will be proposed once again next session. That’s not the only time Wayrauch has said “yes” and grown professionally because of it. At CSM, she presented with a panel of leaders discussing the PT-PTA relationship. Following this session, she was approached to coauthor a chapter in a book about the PT-PTA relationship. Initially, my thought was, “What? Me? I’m still a #FreshPT! Can I really write this?” But then I thought about what I could learn from writing this chapter, especially from such a well-known and knowledgeable academician. So I said “yes”! Just say yes to collaboration. Whether you plan to stay clinical or go semi-clinical (or even fully non-clinical), people will approach you from time to time, hoping to collaborate on various pursuits. Many of these opportunities can become huge, but even the smaller ones tend to open additional doors. Jenna Kantor, DPT is proud to have said “yes” countless times. As a brand-new-grad, she strongly believes that she has tons more opportunities than many others, simply because she has been willing to say “yes” ever since PT school. From all my “yeses,” I have endless open doors as a new graduate, and it’s absolutely insane in the best way! When Karen Litzy, host of Healthy, Wealthy, & Smart podcast, was looking for a guest host to help cover some CSM sessions, Kantor jumped at the chance. Now, she is a regular host of the show! In another instance, a friend of hers from PT school asked Kantor half-jokingly if she’d like to incorporate performance and physical therapy. She said “yes” without skipping a beat, and that’s how Fairytale Physical Therapy, a troupe that performs for sick kids in the hospital, was born! While Kantor realizes that saying “no” is sometimes important to keep from getting too overwhelmed, she notes that in most cases, saying “yes” doesn’t even cost you much time! She’s proud to say that all this saying “yes” has still allowed her to stay caught up on the new season of Orange is the New Black! When you say “yes,” though, you must follow through! Otherwise, your “yes” means nothing! Speaking of collaboration, saying “yes” has made Avi Friedman, PT, DPT one of the most well-connected PTs around. He strongly believes that success comes not from what you know, but from who you know. That’s why he has chosen to leverage the power of LinkedIn, a professional social networking tool that very few PTs use to its fullest. → Follow The Non-Clinical PT on LinkedIn! Paying it forward has been as helpful to Friedman as saying “yes,” too! At one point, he set a student up with a clinical affiliation, and the student’s faculty took note. That led to opportunities for Friedman to lecture, develop curriculum materials, and even consult in multiple states and countries. Never say “no” to opportunity! I can’t tell you how many doors that opened for me. Just say yes to consulting gigs. Nobody taught us how to consult when we were in PT school, but offering our unique expertise to organizations is an excellent way to apply our skills and grow our non-clinical careers. Sean Hagey, PTA is no slouch when it comes to putting himself out there. As the founder of GetPT1st, he knows the importance of physical therapy professionals making our voices heard. Because of his work with the organization, several opportunities have presented themselves to him. As things were taking off with GetPT1st, Hagey received an email from a local tech startup company called In Hand Health. 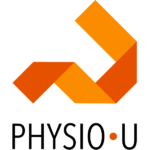 The software development company was looking for someone who could fill a physical therapy consultant role. Hagey never expected an opportunity like this, but knew saying “yes” would help him grow professionally. Something like that was never on my radar, but I couldn’t pass up the chance to try something new and outside my typical comfort zone. It has been a great gig and wouldn’t have happened for me if I had been afraid to try something new. Jasmine Kuan, PT, DPT is a career changer. 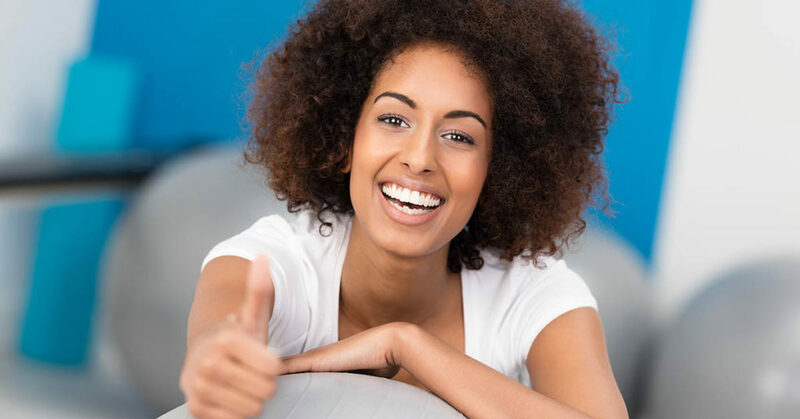 With a background in marketing and advertising, she admits that seeing quality PT companies in need of marketing guidance always piques her interest. That’s why she was so happy when she started talking with the fantastic team at PhysioU. After a few months of conversations, PhysioU invited Kuan to join their team as a part-time consultant, which has continued to open doors for her in both the clinical and non-clinical world. During this time, she has also launched a mobile 1-on-1 PT practice in NYC! Mark Milligan, PT, DPT has quite a few plates spinning these days, and most of them are a result of saying “yes” at one point or another. He finished PT school just seven years ago, but he’s already entrenched in the PT telehealth world with telehealth platform and health ecosystem, Anywhere Healthcare. Milligan also teaches, volunteers, and advocates, even though he’ll readily admit that public speaking still makes him a bit nervous. As student and young clinician, he continually said “yes” to leadership opportunities, eve though he knew they’d involve speaking in front of groups. He served as president of the AAOMPT student SIG and was active in the University of Colorado APTA chapter, and believes saying “yes” to those opportunities has connected him to people and opportunities that have made his physical therapy career path more satisfying over the years. Say “yes” until you’re blue in the face! Say “yes” until you don’t have to say it anymore! Just say yes to niching down. Angie Forsyth, PT, DPT was working as a staff physical therapist at Philadelphia hospital when her supervisor asked if she was willing to take on an additional task of taking ROM and other measurements of patients with bleeding disorders. This was during the 1990s, when the CDC was getting more serious about scanning and monitoring blood supplies and transfusion recipients. Being a newer grad, Forsyth figured she might as well say “yes,” and she realized she adored working with the bleeding-disorder population. After many years of practicing in this highly underserved niche, she was recruited by Diplomat Specialty Infusion Group so she could become the REBUILD Program Director. Her role now is to help physical therapists learn how to safely treat patients with bleeding disorders. Without saying “yes” to that opportunity all those years ago, I’d never be where I am today—in my dream job! Just say yes to finding your voice. Then came this little comment on my website (DebtFreePT)—it was the first comment EVER on my website! This comment was from The Non-Clinical PT, and she was offering me to do a guest post on her site. This little step of finding someone who I could share my ideas with and being brave enough to share my voice as a guest poster was like a firecracker! For Shapiro, being asked directly to share her views in a guest post was what she needed to realize that others wanted to hear what she had to say. After saying “yes” to this one blog post, she has felt inspired to take major action in many other ways to make her voice heard. Shapiro started Therapists on Fire, a podcast (with over 500 listens!) about therapist entrepreneurs, and she has two quickly growing Facebook groups about traveling as a healthcare professional and student loans. Plus, she has personally mentored over 20 people, is even coming out with a course to solve the student debt issue in our profession! I have helped so many therapists find hope in new career routes, and that’s been worth every leap, and every “yes” I’ve ever said! Just say yes to trying something totally new. When Melissa Klaeb, PT, DPT decided to seek out a non-clinical career path, the glimmers of excitement in her brain were often overshadowed by a dynamic duo—doubt and fear. The repeating phrase, “What if I fail” would spiral her into a cascade of negativity strong enough to put off her daydreaming for days or weeks at a time. But saying “yes” to small, concrete steps—such as joining social media groups of other change-seekers, launching her Alzheimer’s awareness blog, and revamping her resume for non-clinical roles—helped open doors to larger “yeses.” Some of these included networking on LinkedIn and at in-person meet-ups, and eventually applying to dozens of positions (amidst dozens of rejections) until she found the right fit as a clinical consultant at Leaf Healthcare. My biggest “yes” of all? That was allowing myself to accept that my years of clinical education and training could be used in other meaningful, non-traditional ways. And now it seems foolish to have doubted it could. Nick Cavallo, PT, DPT never saw himself in sales, but when the economy tanked in 2008, he was laid off from his outpatient PT job. When his brother’s manager, a pharmaceutical sales representative, approached Cavallo about trying his hand at pharma sales, he decided to go for it and said “yes,” despite having a nagging feeling that he should hunt down another clinical role. Not only has Cavallo built a successful and satisfying career as a non-clinical PT—including earning his certified diabetes educator (CDE) certification along the way—he landed a role at Valeritas as a medical science liaison, a coveted position many professionals spend years trying to attain! If I hadn’t said “yes” to my brother’s boss that day, who knows what type of job I’d hold today. But I’m sure I wouldn’t be nearly as happy! Just say yes to important networking events. For many of us, there’s something out there that we find completely terrifying. From awkward networking events to public speaking, it’s easier to just say “no” and stay home. But saying “yes” can help you grow your career immensely. Anna Sternin, PT, DPT is Head of Clinical Operations at a tech company. As someone who always hated the idea of “networking,” Sternin was initially terrified at the thought of going to various meet-ups for health tech events. But when she began her robotics consulting business, she knew she had to push herself to attend events that might make her feel awkward or uncomfortable. What I found was that each time I confirmed and attended an event, whether it was a talk or a demo, I would always learn something new and meet interesting people who helped enrich the path toward health technology. These brief encounters allowed Sternin to develop a better idea of what types of companies and products she ultimately wanted to pursue, and allowed her to learn from and interact with the people behind these products. Justin Johnson, PT, DPT has also found networking events to be immensely helpful in his career growth. “Say ‘yes’ to the things that scare you, like public speaking or going to a networking event,” he recommended. He makes a point to set up informational interviews with people he finds inspirational or even intimidating. Since he decided to make a transition out of patient care about eight months ago, he has been putting himself out there more than he ever did before. Johnson has been able to connect with some incredible people, and he has done so by being strategic with his time. He has been saying “yes” to networking events, even though he thought he had nothing to offer. By doing so, many doors have opened for him. “I now have coffee meetings with financial planners and go on bike rides with sales VPs,” he shared. “I’m no longer scared to walk into a room full of tech entrepreneurs and say, ‘Yeah, my background is PT, but I love what you are doing and want to be a part of it.’” Johnson has also told himself “yes,” giving himself permission to write intro emails asking C-suite execs for interviews or jobs. “People seem intimidating, until you get to know them,” he explained. Still, he warned of the risks of saying “yes” without consideration. Saying “yes” opens doors, but don’t say “yes” to every little thing that comes your way. As good as I am at saying “yes,” I’m even better at saying “no.” I say “no” to nay-sayers, time suckers, and energy vampires. Say “no” to people keeping you from growing. Just say yes to public speaking opportunities. For every person who detests awkward networking events, there are probably 10 who can’t stand public speaking. One of them is Chanda Jothen, PT, DPT, founder of Pink Oatmeal. “I hate speaking in public, and that includes the ‘online public’,” she divulged. But, Jothen’s site is growing, and she knows that pushing herself to say “yes” to challenging opportunities that offer visibility is key to continued growth. She recently agreed to speak at both an online summit and at a conference. Editor’s note: I, too, have been terrified of public speaking for most of my life. I forced myself to join a local Toastmasters chapter, and it has been life-changing. I have had several speaking engagements pop up, and have felt far more confident than I would have before I joined! Just say yes to a role that will challenge you. As Lily Mercer, PT, DPT points out, being open to new opportunities is something that we’re always told will help us. However, it can be much more difficult to put into practice. Saying “yes” to an opportunity that extends beyond one’s comfort zone definitely isn’t easy, but Mercer can speak from experience that it pays off. “When I left patient care for a non-clinical role at a healthcare technology company, I was initially hired to work under our VP of Business Development,” she shared. She felt comfortable in her non-clinical role within several months, and was working well with her direct manager. Right when Mercer felt she was hitting her sweet spot in her role as an account executive, a marketing role opened up at her company. She knew deep down that she was a good fit for marketing—she loves to write and would enjoy the increased contact with clients—but she didn’t have the standard qualifications for the role. Nevertheless, someone at her company (Health Recovery Solutions) recommended Mercer for the role, and she jumped at it. I haven’t looked back since. Sure, I had a lot to learn, and I still do, but I am so glad I took this shot. I really enjoy what I am doing now and I know I can only go up from here. Mike Chua, PT, DPT, CDP is brimming with optimism and enthusiasm. As a published author (he wrote MisUnderstanding Dementia, Time to Fly, 365 Daily Tips for Dementia Caregivers, and Caregivers Freedom Journal), mentor, home health PT clinic owner, dementia practitioner, and thought leader, he has been asked numerous times along his journey to do things that push him outside his comfort zone—things that scare him, but he knows will help him grow. “Sometimes, we just need to learn how to take the plunge—to take a leap of faith and not look back,” he explained. So here is my tip for you today, say “YES” to your challenges today—so you can say “YES” to the victories you have in your future. Just say yes to student opportunities. While it’s never too late to start saying “yes” (I’m living proof; I was a lazy student and unambitious new grad), the earlier you start doing so, the more opportunities you’ll have in your career. Shaunak Maru, SPT (soon to be DPT!) was only in his first semester of PT school when local entrepreneur, Ben Fung, PT, DPT, MBA presented him with an idea. Fung recommended that Maru start a Lunch N’ Learn program on his campus (University of St. Augustine for Health Sciences, San Marcos, CA). Fung connected Maru with a team at CSULB who provided him with a layout of how they run their Lunch N’ Learn programs. After that, Maru worked with several professors to launch his own Lunch N’ Learn program at USA, San Marcos. Maru understood that getting a program such as this would take quite a bit of legwork and preparation, so he joined the Student Physical Therapy Association (S.P.T.A.) as a board member to get help from some of the other members to get the program running. The interactive program allows local professionals to speak with students and communicate in a conversational manner relevant to students’ professional growth. Although there were times I was taken out of my comfort zone (i.e. public speaking), I’ve found that you can learn something from every single opportunity and struggle that comes your way. Just say yes…if the time is right. As Justin Johnson noted above, timing and selectivity are key with saying “yes.” The busier you are, the more judicious you have to be with sharing your time and energy. In addition to co-owning Embody Physiotherapy and Wellness, she is on the faculty of the DPT programs at Chatham University and University of Pittsburgh, as well as the DScPT program at Andrews University, and she teaches through NAIOMT (North American Institute Orthopedic Manual Therapists. Clinton is also the co-founder and board member of the non-profit Global Women’s Health Initiative, and she teaches post-professional courses. She is even the co-host of the podcast “Tough to Treat,” and she provides professional mentorship. Make sure whatever you’re saying “yes” to will fulfill your personal mission and goal-directed life. And if you have to say “no” for any reason, if the project is right for you, that same opportunity—or a better one—will come around again. Clinton urges us to consider where the ask is coming from. She feels that if you’re saying “yes” to a purpose, cause, organization or person for which you have a deep level of respect, it’s generally a good move, but it’s always essential to consider what you’re getting yourself into so you can honor your personal and professional goals. Just say yes, but don’t stop there. Saying “yes” is just the tip of the iceberg. If you limit yourself to agreeing to opportunities that happen to fall in your lap, you could be robbing yourself of the chance to do the things you really want in your physical therapy career. Kimberly Peters, PT, DPT is the Vice President of Operations for Niagara County Home Care of Catholic Health Home and Community Based Care. Her leadership role can be traced back to saying “yes” to a meeting with a hospital CEO. A physician with whom she was working closely set up the meeting because she thought Peters would make a great addition to a newly expanding hospital system. Peters jumped at the chance to meet the CEO, but also recognized that the role she was offered was quite similar to her existing job. At that point in her career, Peters was looking for a managerial role with increased responsibilities, so she went out on a limb and asked for it! And the rest, as they say, is history! If you want to grow into roles that challenge you and help you stay inspired in your career, saying “yes” is the first step. After that, you need to take the initiative by being upfront about your career goals, and asking for what you want. My own experiences with saying yes. Personally, I’ve done my fair share of saying “yes,” too. Back in 2015, I was feeling burned out. I knew I wanted to try something new, but I wasn’t sure what. A coworker asked me if I wanted to start a website for new physical therapists, so I said “yes.” NewGradPhysicalTherapy (NGPT) was born shortly thereafter. While I was running NGPT, I was asked to write guest posts for a number of rehab publications, including WebPT, MyPTCorner, The Student Physical Therapist, and more. I was later asked to be Head of Content for NGPT’s parent company, and I said “yes” to that, and since then, I’ve said “yes” so many times, I have completely lost count. Saying “yes” to meeting people who intimidate me, giving presentations to large groups, and accepting projects that push me outside of my comfort zone have all helped me take an unconventional physical therapy career path—one that makes me happier than I could ever imagine. My goal is to help rehab professionals feel empowered to do the same—to start saying “yes” so we can step into leadership and high-visibility roles where we can truly leverage our skills and education…and show the world what physical therapy professionals are capable of achieving. Still wondering whether you should say “yes” to the next opportunity that pushes you outside your comfort zone? Well written article and very inspiring! There are always opportunities to build your non-clinical skills––even when you're still in a clinical role! Sign up for my email list and get your free checklist! Discover 10 Hidden Opportunities to Build Non-Clinical Skills!